BPU names Johnson new general manager – Welcome to Wyandotte Daily! 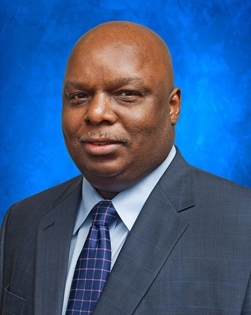 The Kansas City, Kansas, Board of Public Utilities on Wednesday night named William (Bill) Johnson as its new general manager. Johnson, the BPU’s manager of electric operations and technology, has been with the BPU more than 39 years, according to David Mehlhaff, a spokesman for the BPU. Johnson officially will become general manager on April 1. Don Gray, BPU general manager, is retiring and will be available to assist during a transition period, Mehlhaff said. Gray has been with the utility more than 40 years. A national search for the general manager started late last year, and there were more than 20 candidates, he said. The search came down to two finalists, Johnson and one external candidate from out of state, he said. The vote at the BPU meeting on Wednesday was unanimous in favor of Johnson, he added. Johnson received a Master of Business Administration degree from Ottawa University in 2007. “We were extremely fortunate to choose from a capable pool of candidates,” BPU board president Norm Scott said in a news release. “After an extensive national search and careful consideration, we’re certain that Bill Johnson is the right person for the job. As board president, I am looking forward to working with Bill,” Scott added. Johnson began at an entry-level position at the BPU, working his way through the ranks into an executive-level position. Previously, he directed the BPU’s electric operation and technology division, including electric transmission and distribution, electric engineering, information technology, telecommunications and fleet maintenance. During the years, he has led large utility projects including modernizing BPU’s electric infrastructure, and has had an important role in introducing some of the utility’s most advanced enterprise technology systems designed to improve utility operations. Johnson is a past president of Kansas Municipal Utilities, a current board member for the Kansas City, Kansas, United Way, and past board member of the Boys and Girls Club. He is a member of the American Public Power Association and the Rocky Mountain Electric League. He also is past president of the Kansas-Missouri chapter of the American Association of Blacks in Energy. He is a recipient of the Black Achievers Award from the Southern Christian Leadership Council and the Black Man of Distinction Award from the Friends of Yates. Johnson is a resident of Kansas City, Kansas. He is married to Kim Johnson and they have two daughters.